In 1948 Australia signed an assisted passage agreement with Malta, the first that Australia had made with any country other than Britain. This resulted in large numbers of arrivals, peaking in the 1950s, with many hundreds travelling on the SS Asturias. The passenger lists indicate that most were young tradesmen, many travelling with brothers but without their parents. Maltese passengers who arrived on the Asturias are invited to submit their stories for publication. 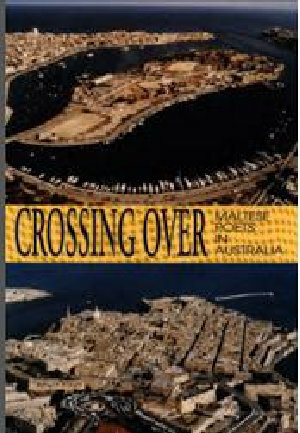 On Sunday 31st of May 1998 at the Maltese Cultural Centre in Albion, Australia, a new audio-CD, "Maltese Voices Down Under" and a book "Maltese in Australia", both by Dr. Barry York, were launched. On this CD set, you will hear voices of Maltese men and women who migrated to Australia in eras as different to each other as the First World War and the 1940s. In their own words, they recall aspects of life in Malta and Gozo in the years before they migrated to Australia and they reminisce about the voyage to Australia. Dr Barry York, PhD, OAM, is a widely published author and historian. Despite the surname - York - Dr. Barry York's dad is Maltese. He was born Loretu Meilak but he changed his name after the Second World War when the Air Force (which he joined in Malta) stationed him in London. Dr. Barry York's dad brothers and sisters, parents, etc., were all from Ghajnsielem, Gozo. The nickname was "tan-Nassi". His dad, however, being the eleventh child, happened to be born in Sliema, Malta, as the family moved there from Gozo around 1916. His dad was born in 1918. The following migration related articles are reprinted with the kind permission of the National Library of Australia. Giuseppe (Joseph) Farrugia was born 22 July 1911 in Msida, Malta, and died 8 July 1991 in Mildura Victoria. His parents were Annunziato (Lonzza) Farrugia (1882-1938) and Maria Carmela Borg(1886-1962). His wife was Maria Rosaria Filletti (1915-1997). They had four sons and one daughter. 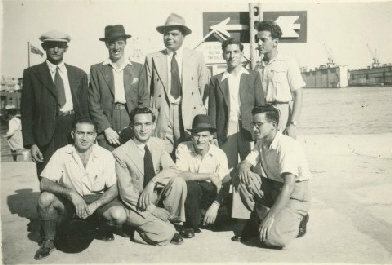 Joseph, a plumber, travelled to Australia on the Asturias in May 1949. He had a choice to work at Woomera or Snowy Mountains (choosing Woomera), and at the time they were only accepting tradesmen to come out to Australia on a Free or assisted passage, but he needed to work for about 2 years before he could bring the rest of the family out. 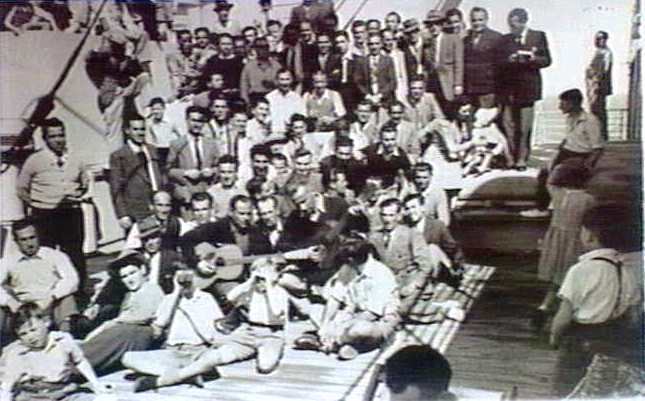 In June 1952, 3 of their sons (Charles, Joseph & John) travelled to Sydney also on the Asturias. They were aged 14, 10 & 8 respectively. Their daughter, Maria Annunziata (Mary Nancy, aged 12) followed on the Toscana in September 1952 with the youngest son, Emmanuel (Bill) who was 5. His wife Maria stayed in Malta. 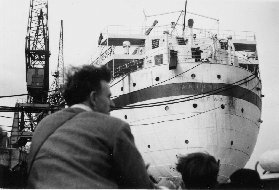 These photos of Joseph and others on the Asturias have been kindly supplied by his grandson, Peter Williams (Qld).